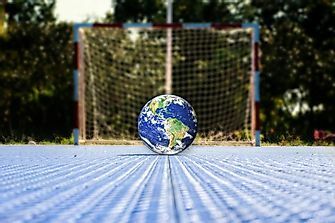 The flag of Serbia was officially adopted in November 2010. 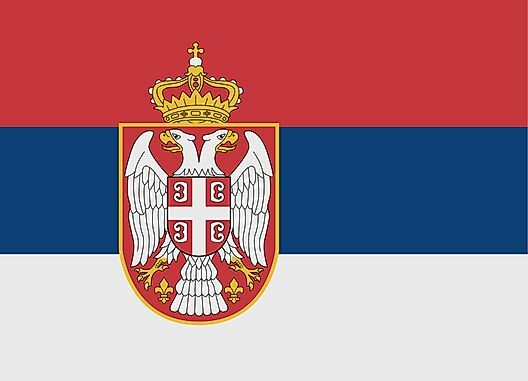 It consists of the coat of arms against red, blue and white horizontal stripes, which are the same colors used throughout Serbia's history. Serbia's coat of arms is composed of a white double-headed eagle against a red shield. 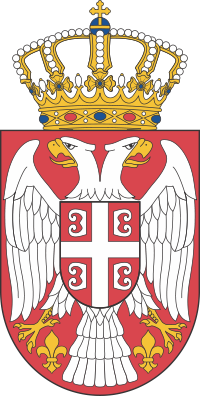 The smaller shield in front of the eagle represents the Serbian nation, and contains four firesteels (typically referred to as the Cyrillic letter C) divided by a white cross. Above the shield rests a royal crown, and a fleur-de-lis is placed between both talons of the eagle.